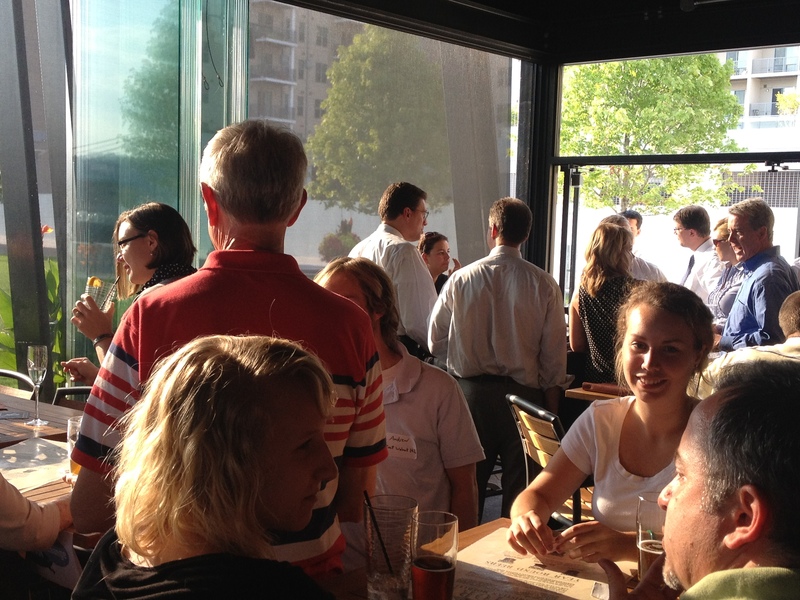 The holiday season is in full effect, but we hope you take some time out of your busy schedule to join us at the Moerlein Lager House Tuesday, December 4 from 5:30pm to 8:30pm for our monthly URBANexchange event. We will once again be gathering in the biergarten that overlooks the Ohio River, Roebling Suspension Bridge and Smale Riverfront Park. And please keep in mind that a portion of all sales at the Moerlein Lager House go to support the operations of Cincinnati’s new central riverfront park where it is located. Those who have not yet been to an URBANexchange can expect a casual, laid-back atmosphere with others who are interested in what’s happening in our city, and cities elsewhere. The UrbanCincy team hopes that you come and share your thoughts about cities with the others in attendance, and discuss the current issues facing Cincinnati. The event is not something that includes a formal presentation or discussion. What URBANexchange is all about is creating a monthly outlet where fellow urbanists can socialize, share their ideas with one another, and expand their social and professional network with like-minded individuals. As always, December’s URBANexchange is free and open to the public. Please feel free to come and go anytime during the event. It is highly recommended that you bring a business card or come prepared to swap contact information with others as this is an event that tries to foster networking.